Residential solar power systems that generate solar electricity can be expensive. But there are some options you can consider to minimize your costs so you can get cheap solar energy for your home. The cheapest solar energy is the solar energy you never have to generate. Making your home more energy efficient is the first step to getting cheap solar power. By reducing the amount of electricity you need for your home, you can reduce the number of solar power panels you will need to purchase for your solar power system. This will save you thousands of dollars in up front system costs! By making simple changes in your daily habits and using more energy efficient appliances, you will be able to reduce your electricity consumption by a whopping 20-35%! But to really make your home energy efficient, you should have a home energy audit done for your home. An energy efficiency audit will pay for itself many times over. 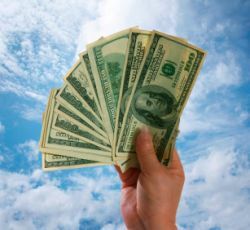 The second step to getting cheap solar energy is to take advantage of all the solar energy incentives your qualify for. But before you start looking at solar energy incentives, go find the energy efficiency incentives you qualify for. You can use these to reduce the costs of all the great energy efficiency improvements you already completed! You did make your home more energy efficient first, right? 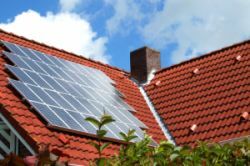 Solar energy incentives are great if you are purchasing a solar energy system. But did you know that you also have a solar rental option? Solar rentals are also known as solar power purchase agreements. 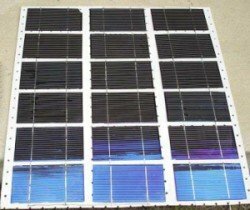 They're commonly used in the commercial sector, but are beginning to be used for residential solar energy systems as well. The way solar rental works is that a solar energy provider will install a solar power system in your home. You will pay a small deposit, but otherwise, there aren't any other up front costs! This will save you tens of thousands of dollars! The solar energy provider owns and maintains the system. They'll provide you with solar electricity for the term of the contract at a fixed rate. So while your neighbors electricity rates continue to rise, your electricity costs remain constant! If a solar rental provider is available in your area, it's a great way to get cheap solar power!